Dubai, UAE, July 02, 2018: SNC-Lavalin (TSX:SNC) is pleased to announce that the combined SNC-Lavalin and Atkins business has been awarded a 5-year framework contract by BP global wells organization for global riser analysis services. 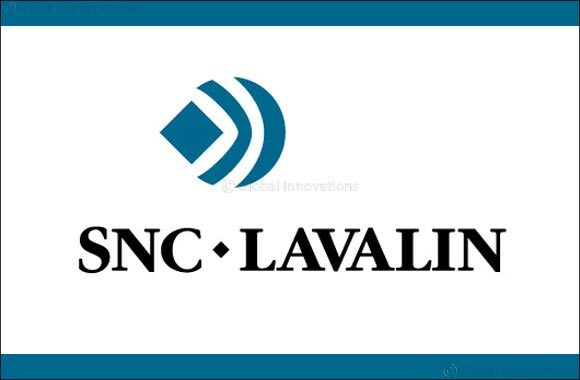 SNC-Lavalin acquired WS Atkins plc on July 3, 2017. The framework covers four main scopes of work; marine riser and wellhead systems analysis, analysis for wellhead fatigue monitoring, completion landing string analysis, and open water work-over riser analysis. This is the first framework awarded to the combined Atkins and SNC-Lavalin business by BP. It further facilitates a collaborative environment and builds on the implementation of the five (5) year framework global agreement for engineering and consulting services for operations and three (3) year framework global agreement for conceptual engineering services to projects already held by Atkins. The new framework agreement recognizes Atkins and SNC-Lavalin’s 20 years of deep technical experience and a proven track record of delivering riser analysis services on projects around the world, including offshore Gulf of Mexico, the North Sea, Azerbaijan, West Africa, Western Australia and the Falkland Islands. The combined Atkins and SNC-Lavalin capabilities sets itself apart by taking a systematic and global approach to riser analysis, not only focusing on the riser itself but also the overall, integrated coupled system, global performance and hydrodynamics and the impact of the integrated system on individual components, or vice-versa.